Taking a trip to the big island of Hawaii has its advantages, but there are so many tourist attractions and things to do on the big island, that determining where to spend your time and money can be a bit frustrating. And while there is a great deal to be had by going to the coast, there are several activities which encompass more than just pulling out your umbrella and your best swim suit and enjoying the day. Here are 6 big island adventures that we think you’ll love. Up in the sky. It’s a bird, it’s a lane, no it’s you!. That’s right. 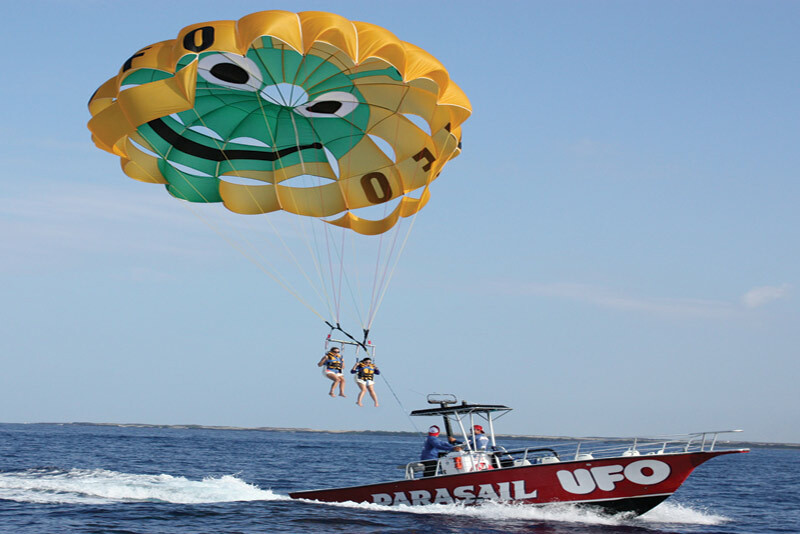 With the parasailing UFO experience, tourists can experience a once in a lifetime exhilarating assentation to the sky. The parasailing experience accommodates 6 to 12 persons on a one-hour experience on the open water. All boats are USCG certified. Passengers are secured by a harness and the procedure for going up and coming down is completely safe for all ages (however, participants must be at least 3 years old to parasail). Parasailing can be done individually or as a group. When thinking about the landscape and the beauty of the island, there are few which match up to the beauty and splendor of Hawaii. Hawaii has been the location of iconic panoramic in feature films such as the recent Jurassic Park Lost World . If you want to experience the beauty from the Hawaiian skies, then Paradise Helicopters is your premiere tour company to get the sites in. 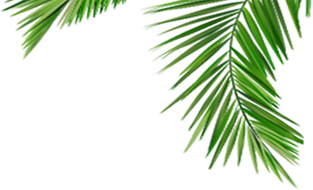 The Company specializes in tours across all of the Hawaiian islands. Tours include several packages including volcanos, waterfalls, and sunsets. 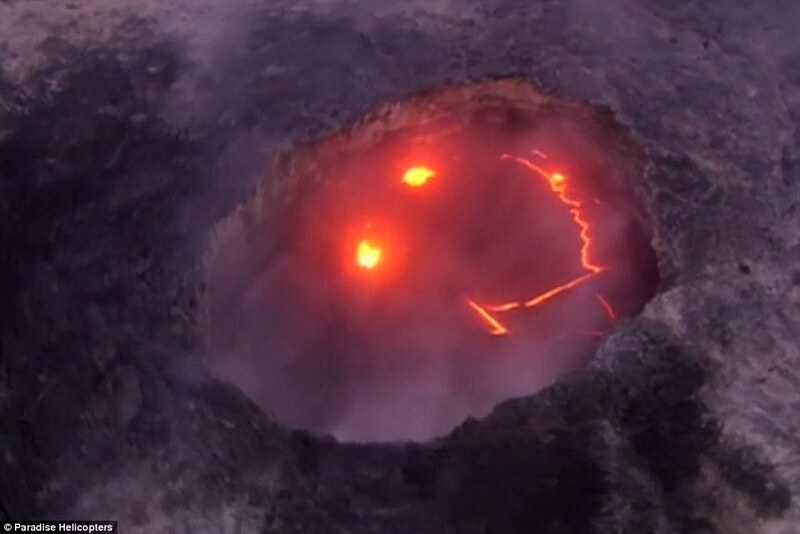 Those which want to live on the edge will need to try out the lava ocean tour. 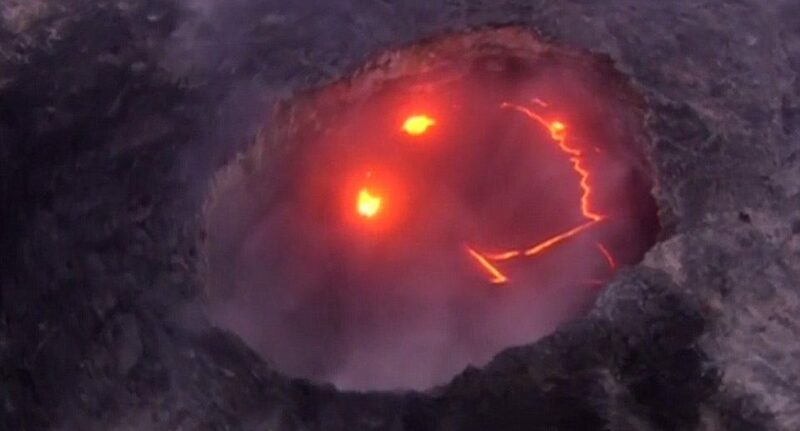 Like the name suggests, participants can get up close and personal with red hot lava. 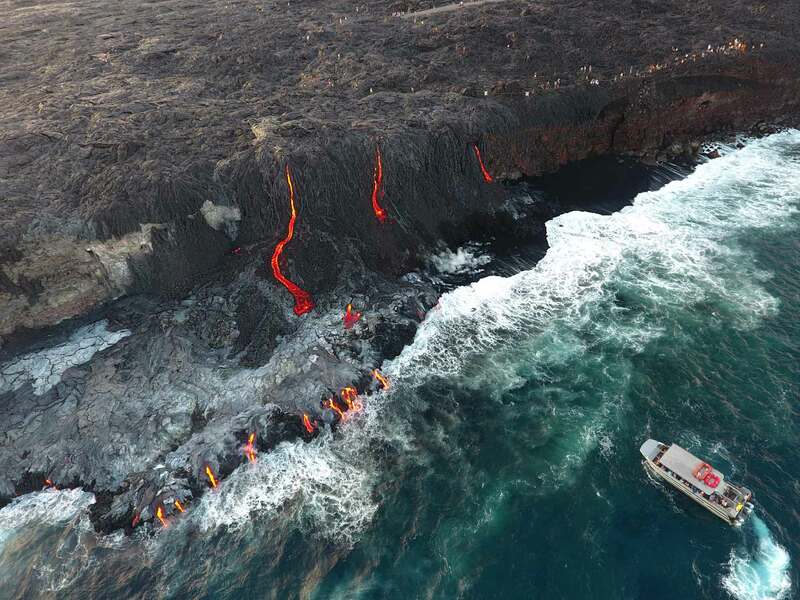 From rivers of lava seeping down slowly to seeing the short bursts of lava from their volcanic abodes, the lava experience is surely to be one that gets the adrenaline going. Lava tours focuses on the Volcano of Mt. Kileuea, the world’s most active volcano. 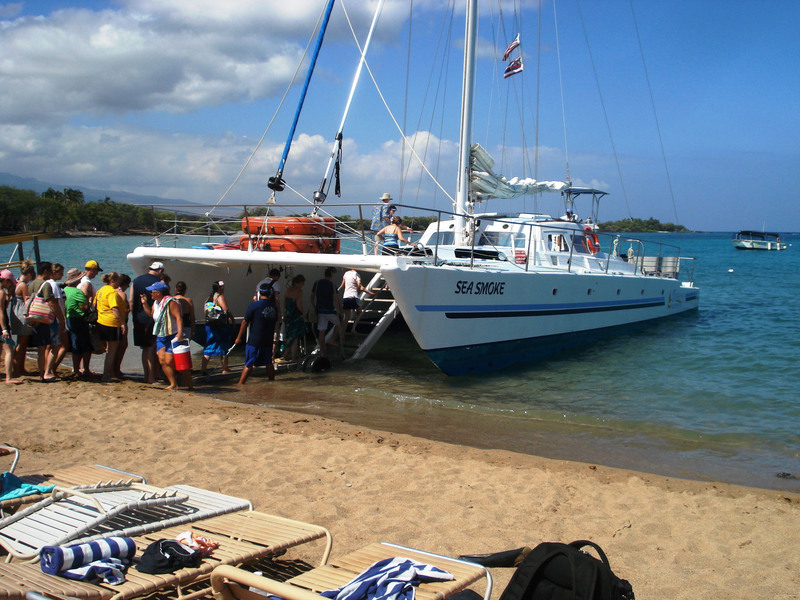 Tour boats are limited to 49 passengers per boat. Call for availability. Those which want to get away from the tourist boats and the walking trails and want to take the experience of touring the island into his or her own hands, should consider using the A.T.V. Ride the Rim company to do so. 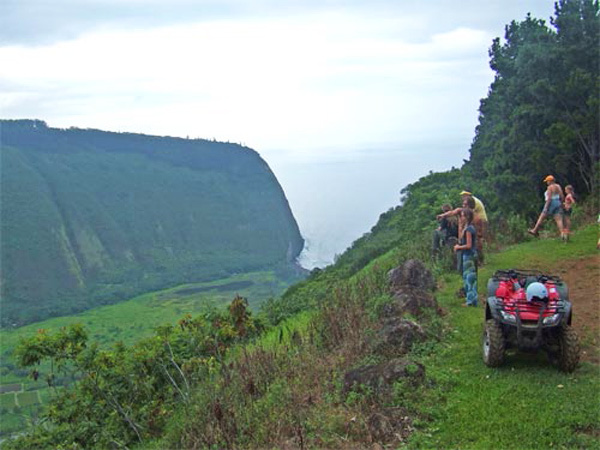 The Ride the Rim allows the tourist to navigate a number of tour trails upon a variety of different models of ATVs. Not comfortable in a vehicle by yourself? don’t worry, there are Polaris and multi-passenger options available. ATV tours through Ride the Rim are available twice a day by reservation. Fun for the whole family, the zipline experience goes a bit beyond just hooking up to a line and going down-hill, and instead turns you adventure into an engaging experience for the whole family. 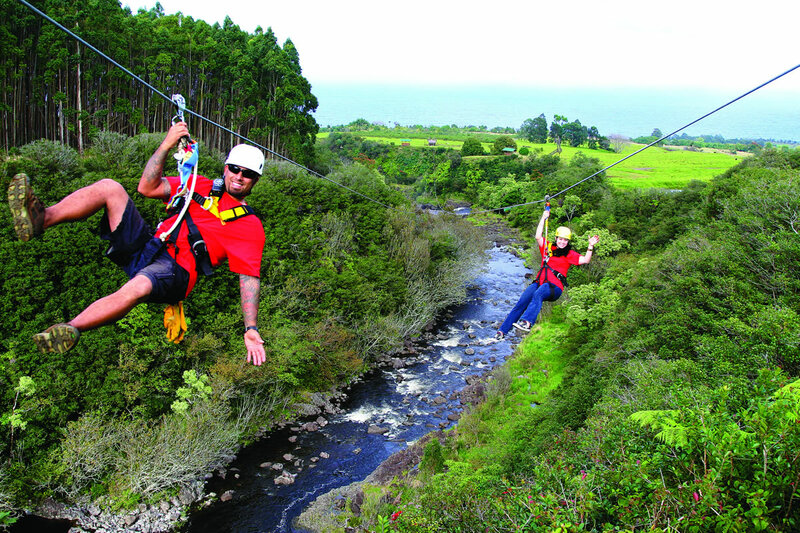 Zipline experiences include Sip and Dip, A Giant Swing, and the Zipline tour. Once you are done swinging through the trees and experiencing the zipline rush, go for a swim with the River Swim & Kayak experience, or take one of the guided tours. Regardless of your zipline and adventure experience level, the Umauma Falls Zipline experience has something for you. Go to their website to see a video. What will you do on the big island? There are many amazing adventures to experience on the Big Island, so get off the beach and go experience all that Hawaii has to offer!